FloodSax helped a family save their home from water damage caused by amazing flash flooding in suburban Moonee Ponds. Luckily they had a supply of Floodsax on hand as they had no time to call for assistance. Old drainage systems were unable to cope with the extreme deluge, turning streets and lane ways into rivers and stream in a matter of minutes. 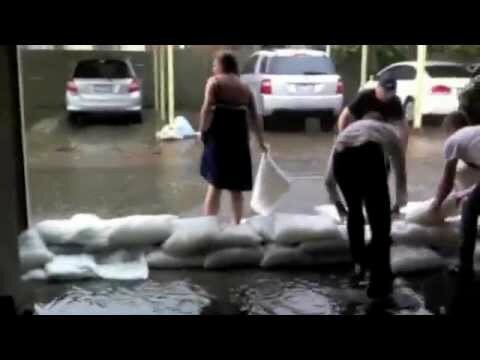 The entire family assisted in building a wall of Floodsax by using the floodwater itself to ‘ energise’ each bag.